Hello, Monday. It is kind of sad how Monday has such a bad reputation. But I don’t really have the time or energy to go off into a separate topic today so I’ll stick with cooking for today. 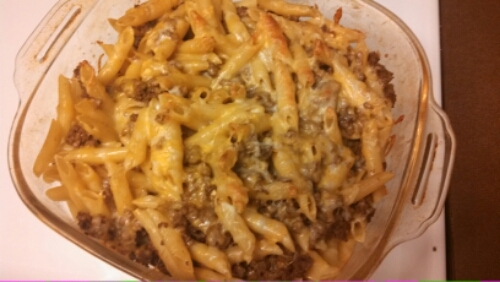 A few weeks ago I made what I call Mexican baked ziti from Healthy Snack Recipes blog (the ingredients and instructions for this specific recipe are listed partway down the page where it says “Must Try!” It’s basically baked beef ziti with a slight Mexican flair. -Cook pasta according to package instructions. 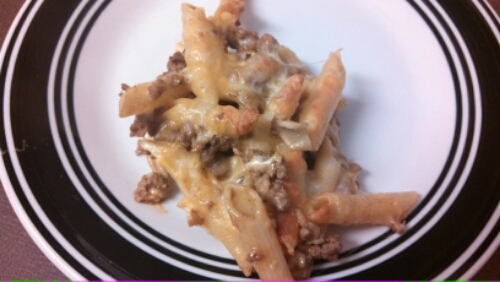 -Add cream cheese to beef mixture, stir until melted, and remove from heat. 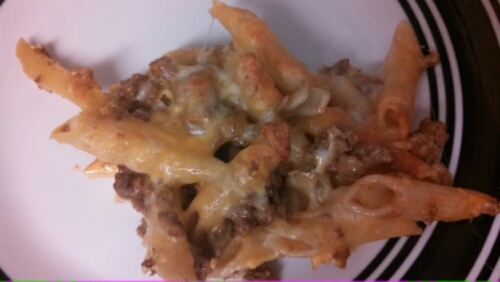 -Put pasta in casserole dish, sprinkle 1 cup of cheese over, add beef mixture, then top with the rest of the cheese. -Bake, uncovered, for about 30 minutes (or until cheese is nicely melted).